Maintain and record maintenance of client and STS equipment including but not limited to: gas monitors, fire extinguishers, emergency lighting, air trailers, SCBA (Self-Contained Breathing Apparatus), SAR (Supplied-Air Respirator), air cylinders, air compressor calibration, and gas and fire suppression systems. Must be willing to provide outstanding customer service, reflect positive attitude, and have the ability to work independently and as part of a team. All employees are required to be productive during working time, and to support the overall operation of the business. Any employee may be assigned to any work outside his or her job classification on an as-needed basis, so long as the employee is qualified to perform the work. Upon request, employees will participate in cross-training to enable them to support other segments of the business. Any other training necessary to do your job. It is your responsibility to keep all certifications up to date. 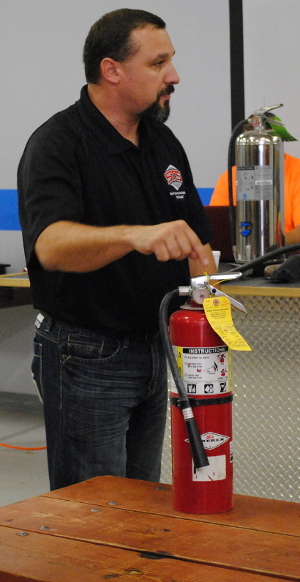 Any Safety Training Services motor vehicles they are licensed to operate and have approval to use, fire extinguisher refill station, high pressure compressor(s), calibration stations, power tools and any other equipment necessary to complete their job safely. All employment at Safety Training Services, Inc. is considered "At Will." This position requires a mandatory 90 day probationary period.